Just Between Kids is a Southern Maryland locally owned premier infants, kids, children's and maternity upscale clothing consignment and gently used toy boutique and resale shop. We are located in St Marys County MD a few miles North of Patuxent River Naval Air Station in the Wildewood Shopping Center. 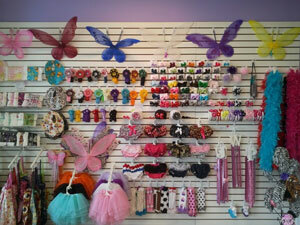 Check out our "Kid's Boutique"... featuring hair accessories, hats, bow holders, aprons, ruffle bloomers, diva hats, tutus, kufi hats, leg warmers, burp cloths, bibs, butterfly wings & wands, and more! Our store is owned by a local mother and daughter who love fashion and the thrill of finding an awesome deal, all in a family friendly, clean, and relaxed atmosphere. We strive to make shopping with children enjoyable, not a chore. We also provide a consignment service, helping many Southern Maryland families earn money for their no longer needed items. Consigning is good for the environment, the economy, and your wallet! Just Between Kids is the place where YOU can shop with peace of mind when it comes to buying and selling children's clothing, toys, furniture, baby equipment, maternity clothes, new items, birthday and baby shower gifts and more. Children can enjoy our new play area. Gift certificates available! 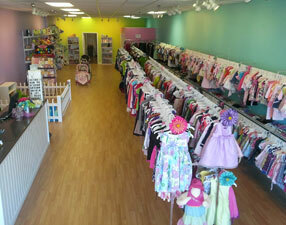 We specialize in the latest, must have new gear for babies and children, and prenatal and post natal products. We know you like sales and bargains so we only stock quality items at unheard of prices. Our stock changes daily so if it is not here today there is a good chance it will be tomorrow. Call or Email us on a regular basis. We have all the accessories you might need for your newborn. In these economic times, why pay more than you have to! 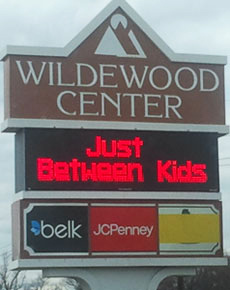 Just Between Kids gives Cash for Kid's Stuff!! 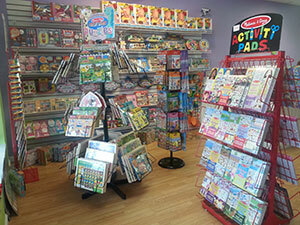 MELISSA & DOUG 20% off everyday for all our Rewards Members! Military discount everyday with I.D. Clear out your closets of your children's outgrown clothing and equipment and no longer used toys and put cash in your pocket. Bring them in to us and look for affordable new items. No drop offs - Must have an appointment! Call Just Between Kids at 301-862-1414 for an appointment to bring in items to be considered for resale. No rips, tears, missing buttons, pilling, stains, smoke or mildew odors, etc. Acceptance, rejection and pricing are at the discretion of the management. Any items that do not meet the above guidelines will not be considered for purchase! Indian Head, Potomac Heights, Saint Charles, La Plata, Port Tobacco, Bennsville, Bryans Road, Bryantown, Woodland Point, Potomac View, Popes Creek, Riverside, Cobb Island, Pomonkey, Chicamuxen, Rison, Banks O’Dee, Aquasco, Naval Surface Warfare Center, Mt. Victoria Hughesville, Waldorf, Bel Alton, Benedict, Dentsville, Burnt Store, Allens Fresh, Charlotte Hall, Mattawomen, Waldorf, Potomac heights, Accokeek Acres, Doncaster, Faulkner, Ironsides, Issue, Marbury, Morgantown, Nanjemoy, Newburg, Pinefield, Pisgha, Pomfret, Swan Point, Welcome, White Plains, Abell, Avenue, Budds Creek, Sandgates, Hermanville, Beachville, Bushwood, California, Callaway, Chaptico, Charlotte Hall, Clements, Coltons Point, Compton, Dameron, Drayden, Great Mills, Helen, Hollywood, Leonardtown, Lexington Park, Loveville, Maddox, Mechanicsville, Morganza, Park Hall, Patuxent River, Piney Point, Ridge, Scotland, Oraville, St Inigoes, St Marys, St Marys City, Scotland, Tall Timbers and Valley Lee.